Picky buyers take notice!!! This is One Wonderfully maintained home with lots of updates. Living room has high ceilings, tiled wood-look flooring which is so easy to maintain & tiled fireplace looks beautiful. Kitchen cabinets have lots of pull out drawers for easy access to pots and pans and pantry . Breakfast bar, breakfast nook, plus a formal dining room all feature updated lighting. 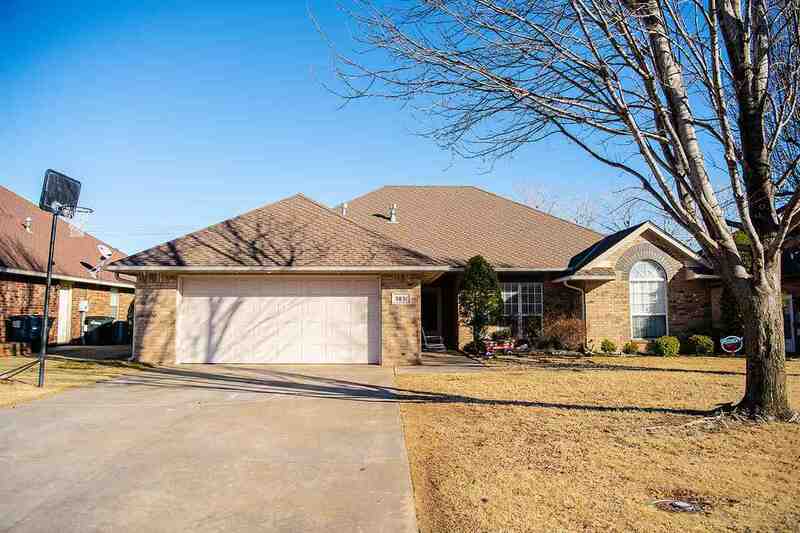 All 4 bedrooms are good sized & one even features a vaulted ceiling. Guest bath has updated granite counter and tile surround in shower. Master bedroom is wonderful size for King size Bed plus nightstands and dressers. Master measures 12&apos;6" x 16&apos;4", features a walk out to the back patio, and features a tray ceiling. Master bathroom has a dual vanity with updated hardware and faucets, jetted tub, and an abundance of great walk-in closet space and storage. Home features a built in storm cellar inside the garage. Covered patio faces the east and is the perfect spot to enjoy the evening. Backyard is fenced and yard has sprinkler system that runs off of well. Attic access in garage leads to floored ceiling over the garage for storage! This is a must see!! Won&apos;t Last Long!! !